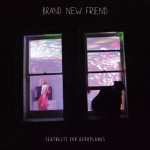 The Northern Ireland Music Prize honours and celebrates the very best of Northern Irish albums, and this year includes three additional categories for Best Single, Best Live Act and The Oh Yeah Contender Award. 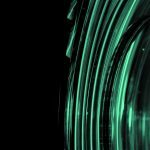 The Oh Yeah Contender Award was announced as a means of celebrating emerging acts within the thriving Northern Irish music scene. This years winner for the award (AND nominee for Best Single) ROE – owned the stage with those distinguishable electro pop sounds on the night. Gary Lightbody to receive ‘Outstanding Contribution to Music’ award in Belfast on November 15th. 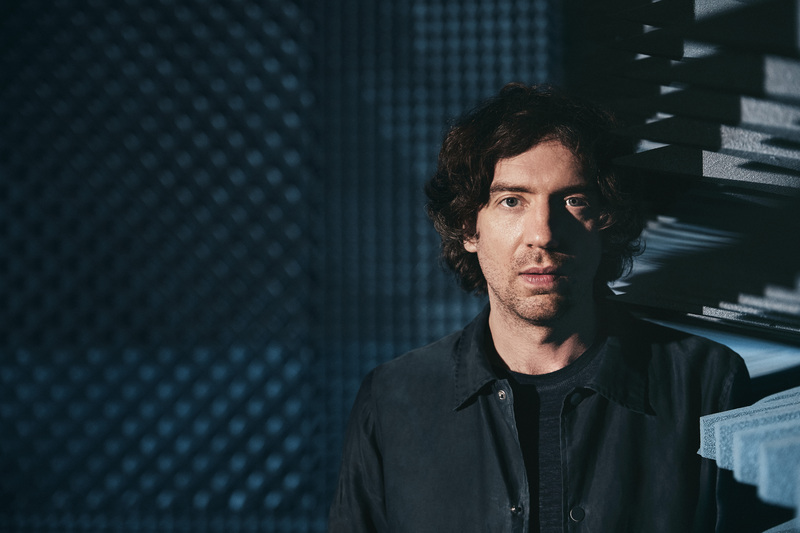 Gary Lightbody, the singer, songwriter, musician and Snow Patrol front-man, will be presented with the ‘Outstanding Contribution to Music’ award at the NI Music Prize in the Ulster Hall, Belfast, on November 15th. Gary is the first recipient of this special award, which is in association with Oh Yeah Music Centre and Inspire Wellbeing. The presentation is in recognition of his exceptional contribution to music as an artist, but also for his active role in supporting grassroots and emerging acts from NI through the various projects and initiatives he has worked on over the years. Gary Lightbody is a multi-platinum selling and award-winning songwriter from Bangor, Northern Ireland. 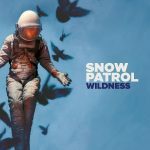 He first started out in 1994 in the band ‘Shrug’, later known as ‘Polar Bear’, before gestating into Snow Patrol. He has completed a number of high-profile co-writes with artists that include Ed Sheeran, Taylor Swift and One Direction.  He has been involved in several side projects during his career, including two albums with Glasgow band ‘The Reindeer Section’, and more recently ‘Tired Pony’, which he formed with his long-term producer Jacknife Lee along with members of both REM and Belle & Sebastian. Gary has played a huge role in supporting artists from Northern Ireland and was instrumental in the inception and formation of the Oh Yeah Music Centre in Belfast. 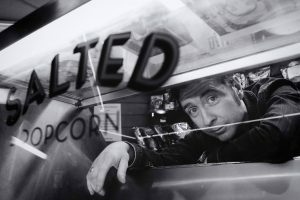 He also established Third Bar, a Belfast based Artist Development business set up to support Northern Irish artists in the advancement of their careers. Charlotte Dryden of the Oh Yeah Music Centre says: “It is with great pleasure that we are able to offer this special award to Gary. 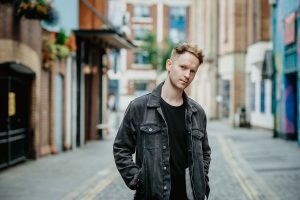 Not only is he one of the most successful musicians to come out of NI, but he has always been an incredibly supportive and committed champion of the local music community. He has invested emotionally, financially and artistically to support its growth, promotion and development. Gary has also very recently opened up about his own battle with depression and so it is only fitting that this presentation is in association with Inspire Wellbeing, a charity doing brilliant work in the area of mental health. We are delighted to be able to combine the opportunity to thank Gary and to promote the work of Inspire, at what is going to be a fantastic evening in celebration of local music as part of the NI Music Prize”. The ‘Outstanding Contribution to Music’, presentation will be preceded by the NI Music Prize, an awards evening featuring four categories including Best Single, Best Album, Best Live Act and The Oh Yeah Contender Award. 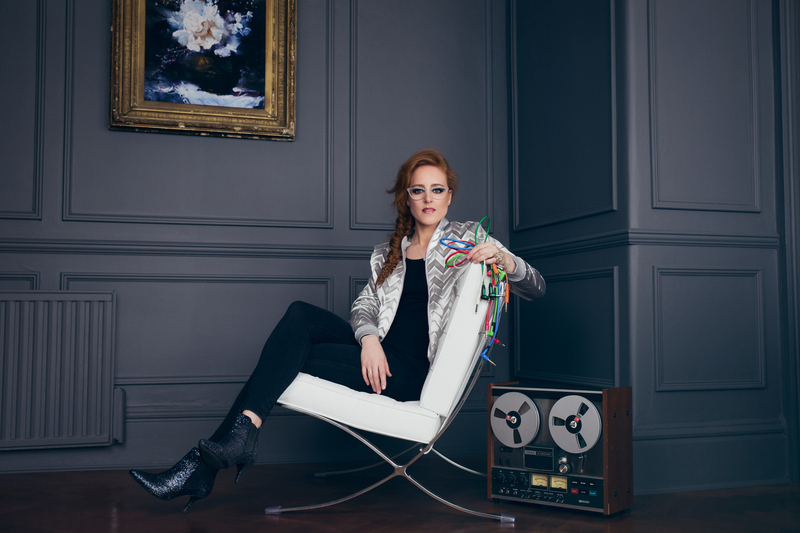 There will be performances from six of the nominees on the night, including Hannah Peel, Roe, The Wood Burning Savages, Ciaran Lavery, Ryan Vail featuring Arco String Quartet and Brand New Friend. The announcement of winners and all presentations will take place throughout the evening. The event is open to the public and tickets can be purchased from the Ulster Hall website. This event is part of a wider programme, Sound of Belfast that will take place November 8-15th Nov. 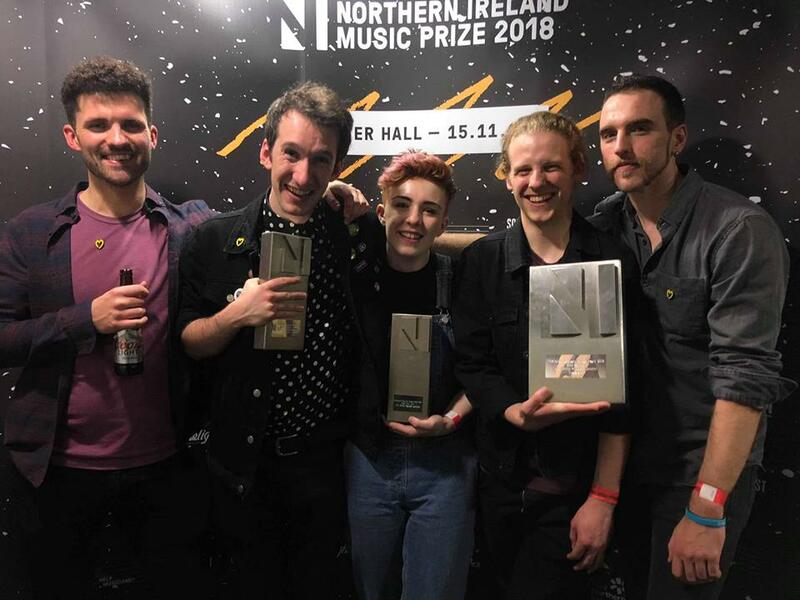 The NI Music Prize is supported by Belfast City Council, British Council, Arts Council Northern Ireland, PPL, PRS, Help Musicians NI, Invest Northern Ireland, and Just Lite Productions. Crime fiction’s supergroup heads for Belfast! 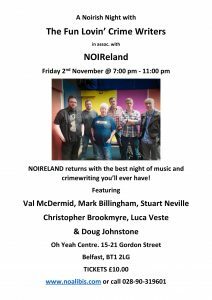 Meet Val McDermid, Mark Billingham, Christopher Brookmyre, Stuart Neville, Luca Veste and Doug Johnstone at a unique night of music, craic and crime fiction. Not only are these guys some of the most talented and entertaining crime writers around, they can also play a mean (crime-inspired) tune. So join us for Noirish Night with the Fun Lovin’ Crime Writers for one of the most memorable gigs of the year! 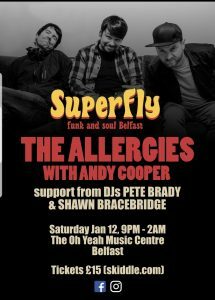 Superfly Funk and Soul Belfast presents The Allergies, as they hit the road to promote their new album, ‘ Steal The Show.’ The boys will be manning the decks but joining them onstage will be super rapper, Andy Cooper, also known as the 3rd Allergy! Dj support comes from Superfly Guy himself, Pete Brady and also Dublin’s Shawn Bracebridge. These events have proven to be ultra popular, so grab your tickets while you can. The Oh Yeah Legend Award recognises the exceptional contribution of a musician from Northern Ireland. This year we are honoured to add the late great Jackie Flavelle to the Legend series at the NI Music Exhibition in Oh Yeah. Jackie was the Bass master from North Belfast via Donaghadee, a giant of the Jazz an Blues scene who worked with many well known names over the years including Ottilie Patterson, Chris Barber, Sonny Terry, Brownie McGhee, Dr John, Sonny Boy Williamson and Rod Stewart to name only a few. The event which takes place on Thursday 8th November has been curated by his daughter Lisa and will be presented by Stuart Bailie. The evening will include a posthumous presentation in his honour and several accomplished musicians and artists will come together to celebrate and pay tribute with a night filled with live music. As Lisa said it will be a Jam for Jackie. 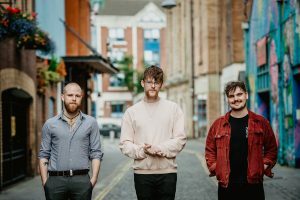 Belfast’s festival dedicated to local music. 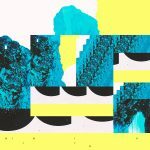 Sound of Belfast is 5! The Oh Yeah Music Centre is pleased to announce the Sound of Belfast programme for 2018. The weeklong series of events takes place 8th – 15th November and aims to embrace, promote and celebrate the sounds and the efforts of the musicians of the city and provide audiences with a snapshot of what is on offer all year round. The festival includes a mix of live gigs and talks, awards, conferences and music industry panels and workshops, as well youth, family, community and collaborative events. 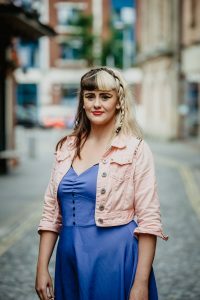 There are over 70 locally based acts in the programme and events take place across nine venues including Limelight 2, The Empire, The Sunflower Bar, Voodoo, Black Box, Accidental Theatre, Ulster Hall, and 39 Gordon Street. 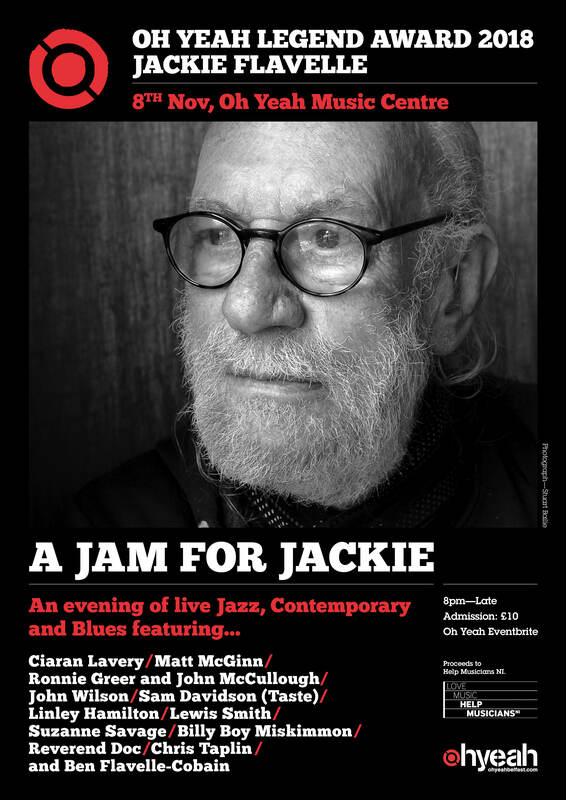 The week begins with an evening at Oh Yeah to honour the late Jazz and Blues musician Jackie Flavelle. The evening is curated by his daughter Lisa and will include a posthumous Oh Yeah Legend Award presentation led by Stuart Bailie. 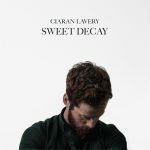 There will be music and performances from top artists including Ciaran Lavery, Matt McGinn, Ronnie Greer and John McCollough, Linley Hamilton, Lewis Smith, Suzanne Savage, John Wilson, Sam Davidson (Taste), Billy Boy Miskimmon, Reverend Doc, Chris Taplin and Jackie’s grandson Ben Flavelle-Cobain. Proceeds will go to Help Musicians NI, the charity that supported Jackie before he sadly passed away in September 2017. Other events across the week include Rude Health, a fundraiser for mental health charity AWARENI. The event will feature performances from some of our finest acts from across a variety of genres including Catalan, Hot Cops, Malojian, Susie Blue and many more. There will be a Belfast tribute to the late Scott Hutchinson of Frightened Rabbit, with proceeds towards funding the delivery of the AWARENI Mental Health First Aid training programme. The Native Music Mart returns, Outburst Queer Arts Festival will host a special youth takeover at the Black Box and Shizznigh Promotions will host events at 39 Gordon Street and The Empire including a special GIFTED album launch with The Crawling. There is a special event with Billy Harrison of Them and the Oh Yeah youth project Volume Control, Clash of The New Breeds will showcase the future sounds of the city. 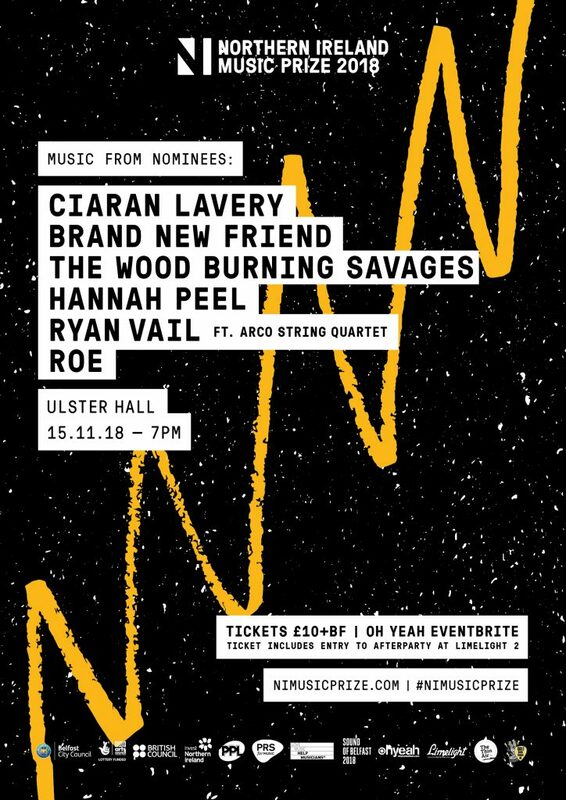 The NI Music Prize will take place at the Ulster Hall and features performances from Hannah Peel, Ciaran Lavery, ROE, Ryan Vail, The Wood Burning Savages and Brand New Friend. 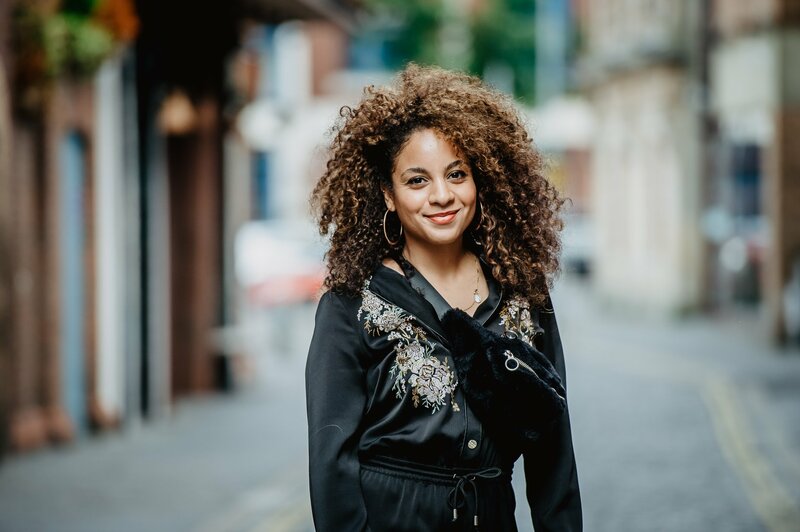 There is also the annual Music Cities discussion and Brexit is still very much on the agenda along with panels and workshops with leading music industry experts. Supporters, partners and funders include Belfast City Council, The Arts Council of Northern Ireland, British Council, Invest NI, Belfast Harbour, PPL, PRS for Music, PRS Foundation, Help Musicians NI, UK Music, Musicians’ Union, Shizznigh Promotions and The Thin Air. All tickets from Waterfront Hall Website. NI Music Prize Event Details Announced. Ulster Hall, Belfast, November 15. 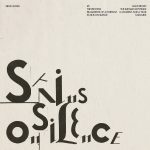 Ryan Vail featuring Arco String Quartet. 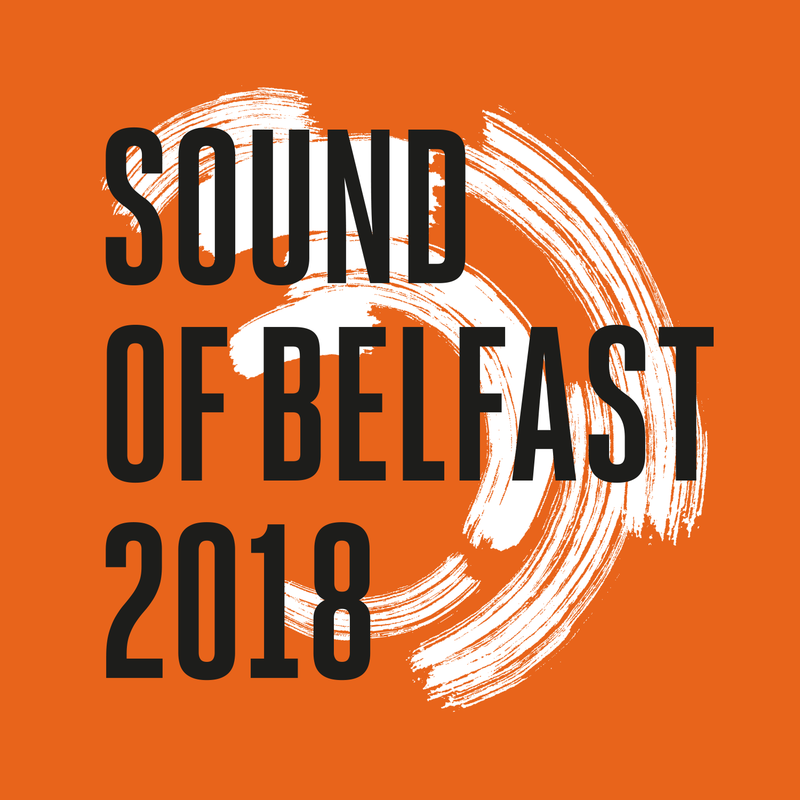 The night is scheduled to take place during the Sound of Belfast 2018 festival, which runs 8th – 15th November. The full programme for this will be announced on the 4th October. It is a week of live performances, industry workshops with national and international music professionals, talent development sessions for aspiring artists, showcases and community music initiatives to support the city’s music scene. 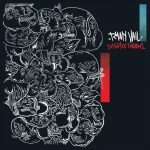 NI Music Prize shortlist announced. The NI Music Prize shortlist for 2018 has been announced. The event, which will take place on November 15th at the iconic Ulster Hall, is now in its 6th year and includes the return of three categories that formed part of the very first NI Music Awards back in 2011. 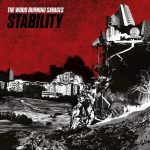 Over 80 industry and media cast their vote for the best Album of the last twelve months. They were also invited to nominate for Best Live, Best Single and the Oh Yeah Contender Award for best emerging act. 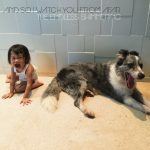 There will be a second round of voting for all but Best Single, which will go to public vote later this week. The winners of all four categories will be announced on November 15th. Oh Yeah is also pleased to announce that the winners of each category will be awarded a cash prize. Best Single, Best Live Act and Oh Yeah Contender will receive £1,000 and £3,000 will go to the winner of Best Album. The NI Music Prize is coordinated by the Oh Yeah Music Centre and is supported by Belfast City Council, Arts Council of Northern Ireland, British Council, PRS (Performing Rights Society), PPL (Phonographic Performance Limited), Help Musician’s Northern Ireland, Invest Northern Ireland and Tourism Ireland. Further details are to be announced in the coming days, but for now, here is the shortlist…..
Oh Yeah is delighted to reveal the five fresh new acts that have been selected for Scratch My Progress 2018. It has been a record breaking year for applications to our dedicated talent development programme which is now in its 7th year. Scratch My Progress will support each of the acts across the next 9 months. The programme will offer them mentoring, advice, signposting and support from industry professionals. They will work with our dedicated Talent Development Coordinator to uncover opportunities and take part in workshops, studio time, professional photo shoots, showcase gigs, vocal coaching and more. They will avail of free rehearsal time and receive PR and digital marketing support. Oh Yeah is an official Talent Development partner of the PRS Foundation along with 39 other cohorts working with new music across the UK. The programme is supported through the Help Musicians UK National Grants Programme. 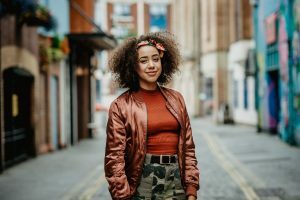 This will give Oh Yeah access to network alongside the 20 other committed organisations in receipt of the grant and will support Scratch in promoting and nurturing strong emerging talent, both locally and to audiences, industry and festivals on a wider level. Oh Yeah and Scratch My Progress is also supported by Arts Council of Northern Ireland. 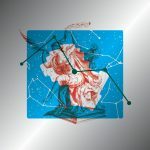 Longterm friend of Oh Yeah and More Volume mentor, Tony Wright, has just released his sixth studio album in 9 years, the acclaimed ‘outro’ has been picking up rave reviews across the board – with The Irish Times declaring it, “a work of pure joy”. He released the album as a precursor to his highly anticipated first book, “Chapter & Verse(ChorusVerse)” which launches at The Belfast MAC (where Tony is currently Artist in Residence) on October 17th as part of the Belfast International Festival at Queens followed by a tour of theatres across Ireland, where Tony will be performing a One Man Show of theatrical readings from the work interspersed with songs from his extensive back catalogue. On top of this and delivering Oh Yeah’s More Volume:Shankill programme as well, Tony is co-starring in a web based comedy series about musicians that he wrote additional material with alongside his good friend Michael Macullagh, “Son of The Hound” before he makes his feature film debut in the biopic of sportsman, Bert Trautmann in November. What a busy human! 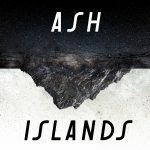 To find out more and to buy Tony’s latest work, head to: VerseChorusVerse Bandcamp.